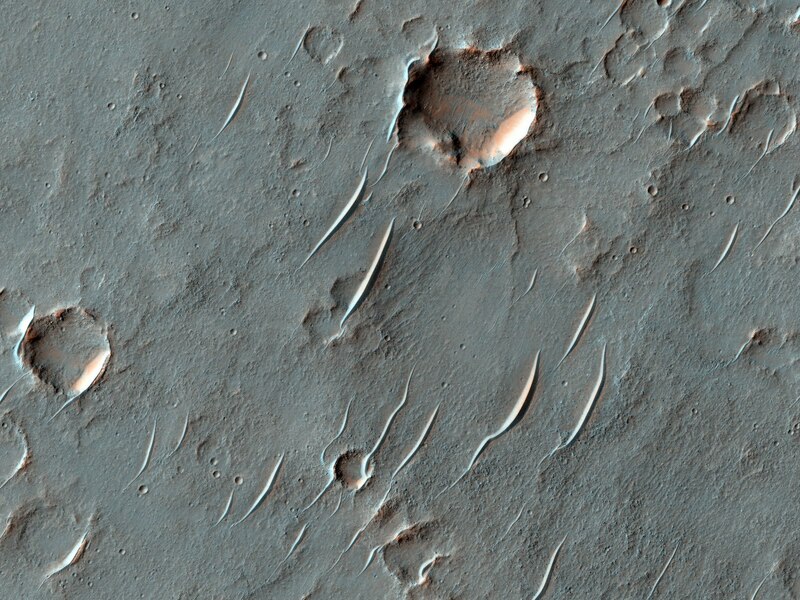 This observation samples part of an ancient lava plain in Thaumasia Planum. The stack of lava flows has been folded into dunes the size of a chain of hills, as is visible in the center of the image. The lava and the dunes has been degraded by erosion. The numerous craters and dunes attest to two of the erosional processes—meteorite impacts and the wind. 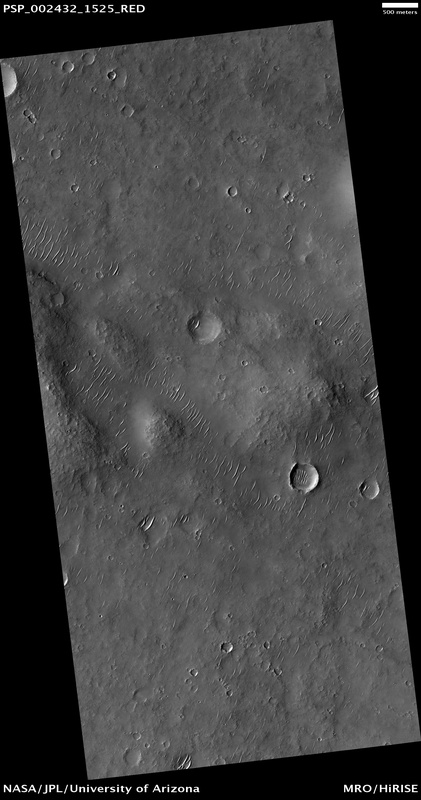 Note: Thaumasia Planum is an upland region in Mars' southern hemisphere directly south of Coprates Chasma. It lies in the Thaumasia Quadrangle.